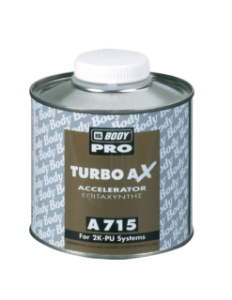 An outstanding accelerator compatible with 2K PU systems, including LOW VOC clear coats. It improves drying time by producing excellent results. Use 4 caps in 1 Liter of the ready for use product.